This is a 1 Bedroom studio Beach cottage, sleeps up to 2 people with a sofa bed. Perfect little getaway! 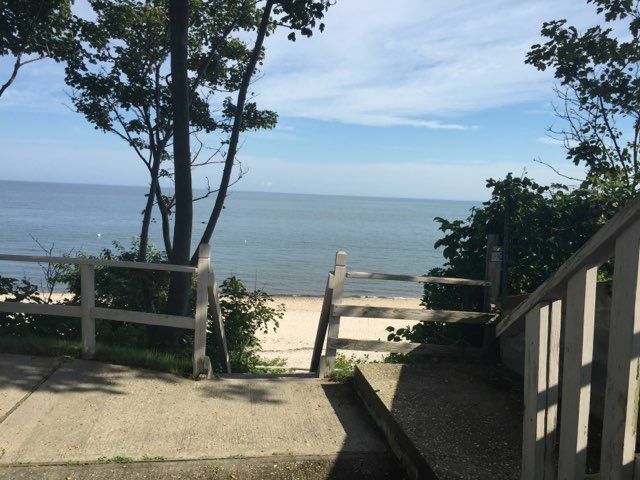 This beach cottage has water views and private access to the beach and a deck! Full kitchen, full bathrooms. The beach is private, just for you! It also comes with kayak. Also comes with a BBQ, linens, and towels Everything! Just bring food! It's a perfectly located close to the vineyards and the farm stands, Tanger Outlet Mall, Atlantis Marine World and Long Island Skydive. There is also a spa close by perfect for massages or facials. It's only 1 1/2 hours away from the NYC and 15 min from ISP airport. It's an overall wonderful beach getaway. We also have a service for vineyard tours. There is casual seating inside for 10 and outside, There is also wireless Internet, cable TV, games, books, all towels linen, everything for you and a 5 star restaurant called Laplage directly across the street from you also pizza, deli, liquor store and they all deliver.